Making a home beautiful and functional doesn't have to break the bank. One of my design theories is that your eye intuitively finds things more interesting if they’re both beautiful and functional. That’s why the classic stand mixers you see in lots of kitchens are so timeless — we’re drawn to them because they provide a great pop of colour and we use them all the time! 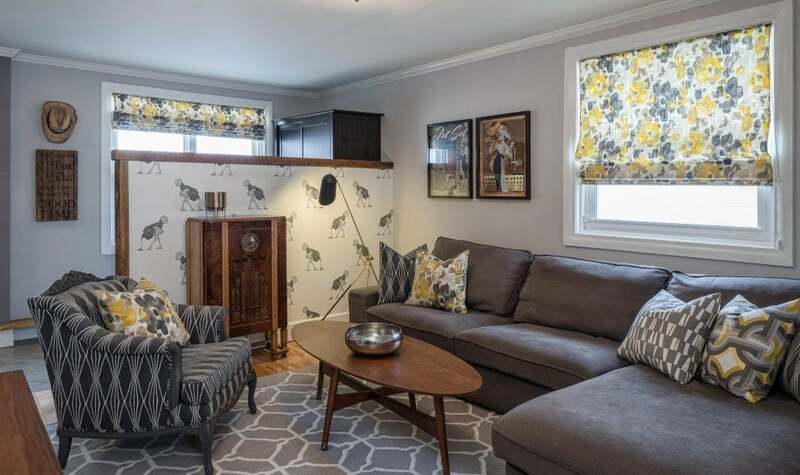 Making a room more beautiful and functional doesn’t have to be expensive. From tiles to faucets and drawer pulls to sinks, an experienced designer can help you find affordable options. There are so many small things that are very functional but can also be decorative. Wall hooks are a good example — they don’t have to overwhelm a room, but you notice them. Drawer pulls are another. Putting new knobs or pulls on your kitchen or bathroom cabinetry can update the feel of the entire room. Sometimes people think beautiful things have to be complicated, but that’s not true. For instance, a simple and classic chrome faucet never goes out of style. That doesn’t mean you should never splurge on a faucet, but sometimes all you need is a simple, well-designed piece to act as a backdrop to a beautiful backsplash. I always look to pillows as a great way to add beauty and functionality to a space. We sometimes forget how useful they are: we use them for napping, to hold a book on your lap, and as back support. That’s why pillows should never be an afterthought — they have to be pretty, but also comfortable and easy to clean. Pillows should dress up a couch but also be comfortable and easy to clean. Colour is hands down the easiest way to infuse any room with warmth and beauty. People tend to think of paint as a huge commitment, but it’s a very functional part of maintaining a home. You have to paint every 10-12 years. Tiles can be a great way to set the tone in a room. This is an area where I often splurge — tiles are essential in a kitchen and a bathroom so why not get really creative? 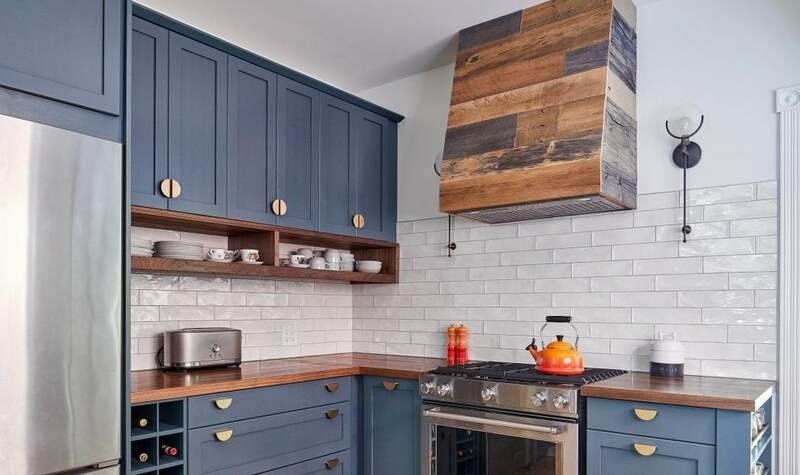 That said, an iconic subway tile is also an affordable and beautiful way to finish a kitchen backsplash or shower wall. All furniture can be functional and pleasing to the eye, but kitchen islands provide a unique opportunity. 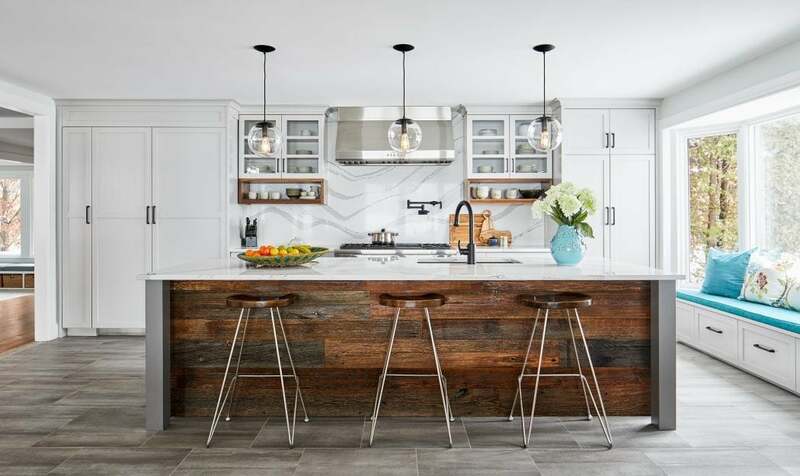 There are so many ways to get creative with an island; so many ways to have it add personality to the room. Kitchen islands can be functional, beautiful, and set the tone for the entire room. Wallpaper can be purely for beauty’s sake, but it can also be functional — I see it as artwork. It also makes a “non-space” into a space — like that wall on the way up the stairs that you’d never otherwise notice! Appliances are a great place to splurge. If there’s a colourful appliance you really love, you can build the rest of the room around it. 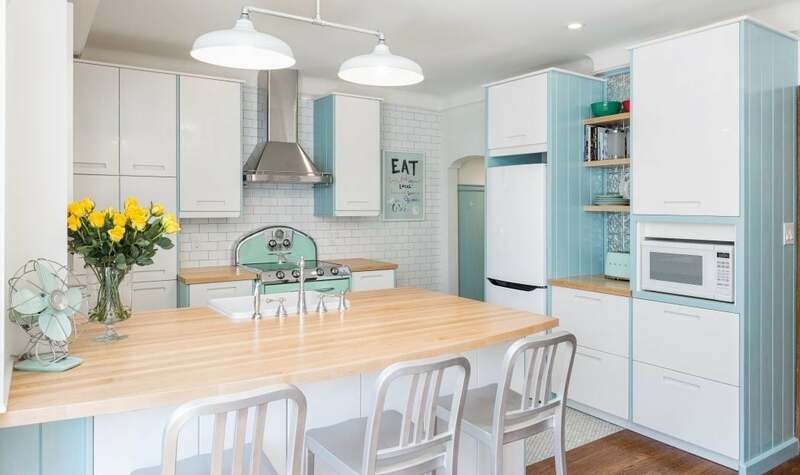 Appliances like the robins egg blue oven can set the tone for an entire room. Lighting and lighting accessories don’t have to be expensive. I always say you can get a great shade for $50, or a really ugly one. It takes some time, but it’s worth doing your homework to find lighting that complements your room. You need someplace to put your laundry and kids’ toys, so why not make it beautiful? There is no reason to have Rubbermaid containers in the house when there are so many baskets out there in all kinds of sizes and in vibrant colours.